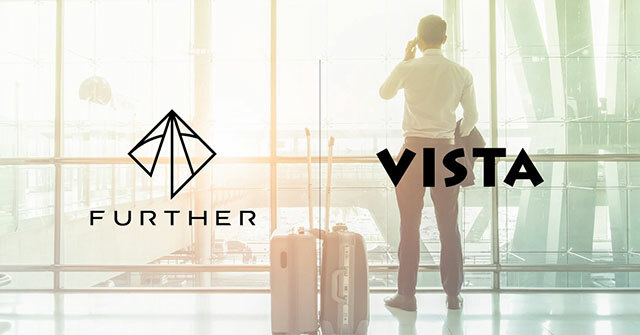 A Blockchain-based payment and settlement platform for the travel industry, transforming how companies in the travel ecosystem interact with each other and their customers. 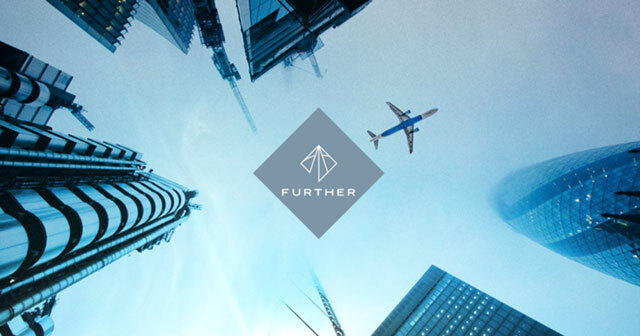 Further's disruption starts with Autonomous Smart Travel Ecosystem where any asset provider from small to large, Airline to Hotel or Tour Provider would be able to create their own assets, create their own modifiable services and publish them using their own smart contract and get real time payment throughout the system using blockchain and cryptocurrencies. We will begin with tokenization of current assets from proprietary systems and for easy settlement and payment and continue with identity sharing and ultimately achieving a fully integrated set of systems with blockchain which will directly tokenize the assets without any midware. Travel is one of the biggest industries in the world with a global economic contribution of 7 trillion U.S. dollars in 2016. But the process of customer booking is based on the rules that were set more than 40 years ago. Even with the arrival of e-commerce, the standards didn't change to reflect the needs of a digital-era consumer. This is why you are having a badly designed experience with not many options to suit your needs when you travel. Our Blockchain-based technology enables a faster and customizable ticketing and travel experience. 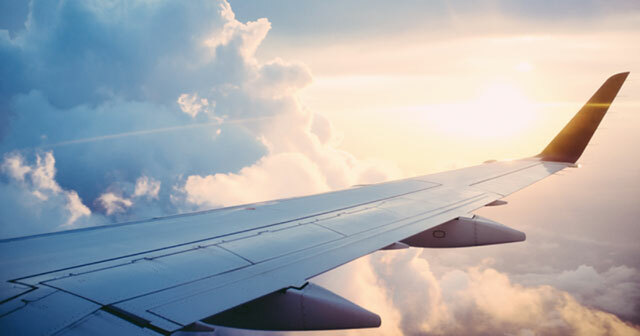 We aim to help Airlines, Agencies, Hotel Wholesalers and travel product issuers alike to solve the Billing, Settlement, and Payment issues while removing the middle-man and completing BSP in real-time. Further Network's token, Aton, is based on Stellar. Further Network will issue a fixed amount of 7.000.000.000 Stellar tokens as Atons when establishing the ecosystem. No more Atons will be generated in the future. Aton acts as a settlement, payment and transaction currency. Different types of travel companies will be able to perform their settlement process between each other in real time by using Further Network Platform. Involved parties (travel agencies, travel wholesale websites, airlines, etc.) are able to make payments between each other in the system. Also, an end can buy tickets or make reservations from all available product issuers (Airlines, Travel Agencies, Hotels, etc.) in our network; using our wallet system. Aton is the fuel for Further Network, just like Ether is in Ethereum. When a party creates any type of transaction on the network, whether it be issuing a ticket, changing a booking, making a settlement, they will have to pay a fee for the transaction cost of that process. Further Network will collect transaction fees in Aton. In our token distribution model 60% of all tokens (4.2 Billion Atons) will be distributed in our ICO for the public to participate in the project. This portion is reserved for the founders and team members of the project. This portion will be used to show our appreciation and gratitude towards our advisors for helping us build this ecosystem and platform. This portion will be used for incentive campaigns like Bounty Program and Airdrops We want to thank our early supporters and make them feel as a part of our project. Further Network’s fee structure will reduce transaction costs especially for airlines in travel industry. Our revenue structure is based on fixed transaction fees as opposed to the other airline solutions with transaction fees based on Global Distribution System (GDS) and International Air Transport Association (IATA) billing, settlement & payment (BSP). No additional distribution or clearance cost. You can meet with Further Network team on these events around the world. If you would like to book a meeting, let us know. The ticket should be more than just a manifest of flight information. It must be customizable or even personalizable for traveler’s needs and preferences. With Further Network's unique technologies travelers will be able to change, sell, add options and customize their tickets. Moreover it will not be a simple ticket anymore but Smart Travel Record, a Further Network technology. STR, Smart Travel Record; a smart token, unique Further technology consisting of necessary data for flight, hotel or any other reservation or any other travel product. STR will help solve the issues of settlement and payment using Aton, our digital currency. STR would also bring more structured data and automation to the operational usability for vendors to offer their travelers specific rule sets. He began his career in Turkish Airlines in 2000, he is a Part Time lecturer in Aviation Management Department of Istanbul Commerce University for the last five years. As Managing Partner of Seven Gates Interactive Technologies he leads Software Product & Consultancy Services, Business Development & Sales departments and works as a Part Time lecturer in Aviation Management Department of Istanbul Commerce University for the last five years. 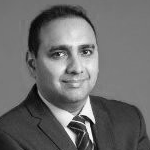 He began his career in the travel industry with Turkish Airlines in 2000 where he held variety of operational and management positions including Process Engineer, Project Leader Internal Auditor and Training Manager based in Istanbul. He was also member of IATA Load Control Work Group and Airline Messaging Work Group between 2008-2012. 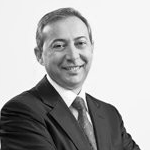 He received his master’s degree in business administration at Maltepe University and his first bachelor’s degree in Electronics from Marmara University and second bachelor’s degree in Economics from the Anadolu University. During his work life he has worked in different sectors from event/concert organisations to developing web applications & sites and starting an online music magazine. As Managing Partner of Seven Gates Interactive Technologies he is the head of all development and IT. 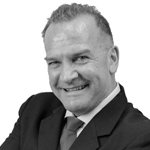 He currently leads the technical and functional teams of the projects. He also leads and contributes the R&D efforts of Seven Gates. He began working at the age of 15. During his work life he has worked in different sectors from event/concert organisations to developing web applications & sites and starting an online music magazine. Completed his B.Sc. in Meteorological Engineering at Istanbul Technical University in 2005. Completed M.Sc. in Computational Science and Engineering at the same university in 2010. Founded an import export trading company at 2008 and exited at 2011. Co-Founded Seven Gates at 2012, in order to pursue his dreams of technology development. 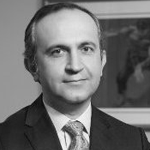 He is also a member in Turkish Informatics Foundation. Award Winner 17 years experience as a Leading developer, software development manager and entrepreneur. 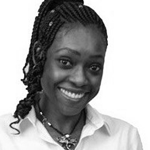 17 years experience as a Leading developer, software development manager and entrepreneur. Experienced in service oriented architecture, software architecture design, enterprise level third party integrations. Particularly interested in blockchain based applications, cloud base applications and relational / non relational database design. Technology Achievement Award, Tüsiad, TTGV, Tübitak, 2007 2013 FSTech "Best Use of Online Services" Award, FSTECH, England 3 R&D projects supported by Tübitak. Got his MSc degree from GITS Media Lab, Waseda University, Tokyo in 2004. Stayed in Tokyo for five years and worked in different design companies in various positions such as senior CG designer, art director. Currently working as full-time lecturer at Istanbul Bilgi University, Visual Communication Design department and also working as freelance media designer, mentor at Founder Institute Istanbul, Fit Startup Factory about branding and user experience, consultant for various companies and startups in Tokyo and Istanbul. He has an experience in Trading Platforms, Financial & Investment Training, Business Development, Payment Kiosks and Digital Marketing. 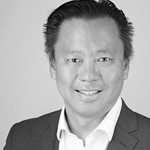 His career in the Foreign Exchange industry with where he held a variety of operational and management positions including Project Manager, IT Manager and Training Manager in US based company Eurofund Holdings which corporated in Hong Kong. 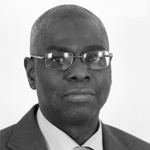 He also got responsibilities in some of the Investments of Eurofund Holdings as a partner. He has an experience in Trading Platforms, Financial &amp; Investment Training, Business Development, Payment Kiosks and Digital Marketing. He has studied in ITU Aerospace Engineering and gets his bachelor’s degree in Business Administration from Anadolu University. Digital Marketing Strategist with more than 15 years of experience in online communications and new media technologies. He started his career as a software developer while he was still studying at ITU Mathematical Engineering. He then had a chance to work for different Istanbul and San Francisco companies and had experience in various digital advertising roles; including design, development, and project management. He started designing and developing video games at the age of 14 and that's still what he does in his spare time. He is based in London. 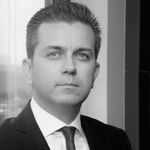 He began his career in the travel industry with Turkish Airlines in 2008. 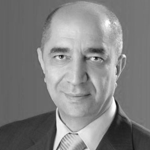 He began his career in the travel industry with Turkish Airlines in 2008. During this period, he managed scheduling and tasking for a team, resolved operational bottlenecks to improve service quality for ground operations, significantly improved quick check-in process and developed training manual, Contributed to reengineering of critical work flows to improve training quality, closely worked with eLearning program software vendors to enhance quality of eLearning content and its delivery. He is studying for his master’s degree in Business Administration at Beykent University and his first bachelor’s degree in Tourism and Hotel Management from Süleyman Demirel University and second bachelor’s degree in Business Administration from the Anadolu University. 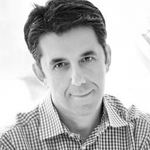 Mehmet Duran is a software consultant who worked on many award winning projects including Nike, Bing Maps and GOV.UK, with a wide area of expertise on developing software and products for finance, government and technology startups. Mehmet Duran is a software consultant with a wide area of expertise on developing software and products for finance, advertising, government and technology startups. He's worked on many award winning projects and high-traffic websites including Nike, Bing Maps and GOV.UK. He is based in London and Istanbul. 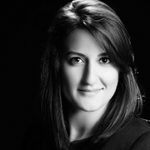 Çağdaş is a developer, manager and entrepreneur with experience in finance, e-commerce and marketplaces. He has designed and developed software and products for different domains with availability, reliability, and scalability in mind. 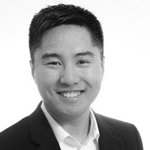 He has an interest in distributed applications and cloud architectures. He holds a bachelor's degree in Mathematical Engineering from Yildiz Technical University. Armagan is a Social Media & Community Manager with a 6 years of professional experience. His career started at McCann Istanbul. After that, he worked for digital agencies, like 4129Grey, Leo Burnett Voden, Rafineri, Dwarf Planet and Sotka. Throughout his career, he has provided digital solutions for global and local leading brands like Turkish Airlines, Unilever, Turk Telekom, Ulker, Teknosa, Yandex, Akbank, Yapi Kredi Bank, Doritos. Currently, he is responsible for the community management of Further Network. Further Network’s main focus is solving the problems in Billing, Settlement & Payment (BSP) process between the companies in the travel industry. Travel agencies have to pay huge sums of down payment for each account they are selling tickets for. Airlines cannot receive their money immediately; taking weeks or months, with a lot of cuts by intermediary companies along the way. All because of the trust issues between companies and how data (especially settlement & payment data) is being distributed. And that’s only one type of transaction between travel companies. Whenever you travel, you generate dozens of transactions between airlines and regulatory associations, ground services, hotels, car rental companies, wholesalers, airport security companies, loyalty programs, and even countries (overflight fees). With our technology, Billing, Settlement & Payment (BSP) happens in real-time. No party has to pay huge down-payments anymore, and parties receive their money within minutes, with intermediary cuts being minimized. Considering the low profit margins of airlines (2.5% - 5%) this means more than 60% increase in profits. And for the travel agencies, instead of trying to fill sales quotas towards their down-payments with each account, agencies will be able to close a sale-case literally within minutes and move on to the next one. This system also minimises disputes, since settlements are made at the same time with the payments. There are around 725 airlines, who are selling 3.7 billion air tickets and generate more than one Trillion USD each year. 275 of these airlines are members of IATA (International Air Transport Association), which regulates the BSP for their members. Both IATA and non-IATA airlines need a better BSP solution TODAY. Starting with aviation, this model will be applied to other transactions in travel as well (i.e. hotels, car rentals, etc.) which in total is a 7 Trillion USD market. The structure, which doesn’t require particular parties to trust each other and execute an archaic financial ritual to secure their own end of the deal. On top of the reliable environment of Blockchain, we were able to develop our own protocol to process settlement and payment at the same time, having every party to get their payment within minutes instead of months. How are you going to deliver the solution? Travel tech companies (distribution of the data). We use the enterprise Blockchain solution, Hyperledger Fabric to develop our product, which is being powered up by IBM Blockchain & Cloud Services. And Aton is based on Stellar - a payment blockchain. Why don't you have a GitHub page? Further Network is a private Blockchain system on enterprise-level. Since this massive industry handles sensitive user and corporate data, not everyone is allowed to participate in the network. What is the revenue model for Further Network? For each transaction that happens on the network, a service fee will be generated. There are many different transaction types and categories but the main ones can be summarized as: Billing & settlement, reservation & ticketing, ticket changes, and peer-to-peer sales. These fees, that are being generated in the system, will be a fixed amount for each transaction, instead of the current percentage-based fees of intermediary services. Why would an Airline use Further Network? In short: To reduce the cost and remove the delay in receiving money. Airlines’ profit margins are as low as 2.5% to 5%. Plus, they receive their payments in months. And on top of that, in average of 5% of all sales end up in disputes, which puts huge sums of money on hold that no party can use. In this financial situation, airlines are unable to innovate on user experience and they lose opportunities in selling supplementary services as well. A new BSP structure in aviation was something the industry needed for more than a decade. There is no doubt Blockchain is the future for the industry. Why would a Travel Agency use Further Network? In short: To consolidate their accounts and minimize the huge down payments they pay each month for different accounts. A travel agency works with various accounts. IATA (International Air Transport Association) is one of the biggest ones, as it is the regulatory association for more than 250 airlines. But each non-IATA airline is another account and adds more to handle for the agencies. In some cases, even IATA-member airlines require the travel agencies to keep their accounts separate for specific inventories (i.e. domestic flights in a specific country). An agency has to deposit different sums of money into these accounts as down-payment each month. This is the common standard of how the industry handles the trust between the airlines and the agencies. From the travel agencies’ perspective, this system imposes a financial burden and risk, since they can’t transfer money from one account to another, because it is blocked by the corresponding party for the whole month. And even at the end of the down payment period, there may still be some disputes from sales that occured weeks ago. In case of a dispute, the money can not be cleared for anyone to use. Within our ecosystem, billing and settlement happens at the same time. This means, instead of trying to fill sales quotas towards their down-payments with each account, agencies will be able to close a sale-case literally within minutes and move on to the next one. This system also minimises disputes, since settlements are made at the same time with the payments. Why would a global distribution system (GDS) company use Further Network? In short: To distribute data in a more secure and flexible way. Why would a Travel Tech company use Further Network? In short: To develop B2B or B2C solutions, without needing to create the framework from the ground up. Our goal is to introduce the Open Network Standards for Further Network. With that Open Network, 3rd parties will be able to develop and integrate their own technology for Hoteliers, Activity Providers, Airport Operators, Ground Service Providers, etc. Who else would be using Further Network and Aton? 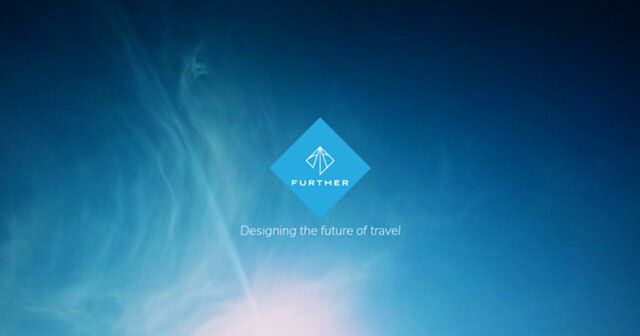 In short: End-user and ANY type of company operating in travel industry. Our Network is a more B2B structure than it is B2C. But in 2019, we are going to publish an App for the end-user to manage the ownership of his data. With the biometric ID of the user being managed and held only by the user and with the help of our technology, he will be able to identify himself on different ID checkpoints without sharing all of his information with each party. End-users will be able to buy tickets and supplementary services on the app as well. How do you plan on acquiring customers? We already have signed agreements with different airlines to test our technology and deploy it on their live systems if tests go well. In the future, with the money collected from the ICO, we are going to create a sales-team to penetrate the market within 2019.